Rohit Sharma jokes on Rishab! Sri Ramachandra Murthy January 10, 2019 13:00 IST Rohit Sharma jokes on Rishab! Young Indian wickets Rishabh pant gained prominence with the recent border Gavaskar trophy where he went on to become the Indian wicket keeper with maximum dismissals in a series and also scoring 350 runs including a blazing 159 unbeaten in the final test. However he got popular for even his banter with Tim Paine Australian captain and this became popular till Australian prime minister and Rishab went on to babysit for Bonne Paine's kids and even today she had posted Instagram story if Rishab was available for babysitting. 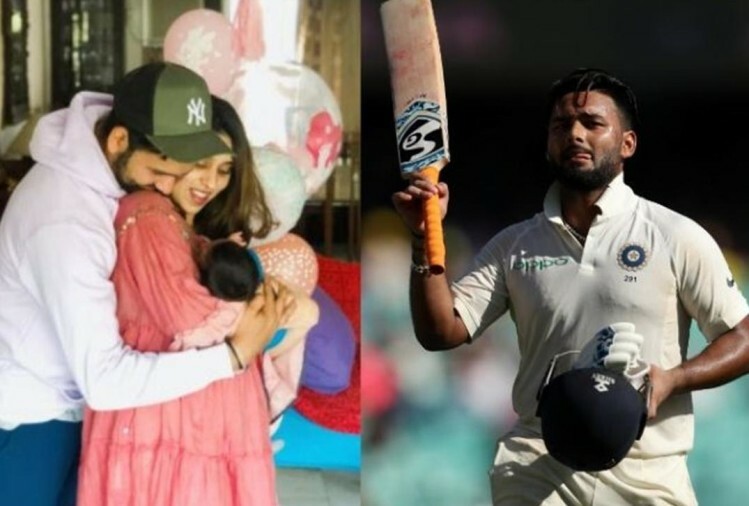 On the other hand batsman Rohit Sharma took it to Twitter and asked Rishab that his babysitting skills have improved and whether he was available to help his wife Ritika Sajdeh to babysit. Rohit recently turned a father as Ritika gave birth to a child.